As a developer, we are used to using different shells. 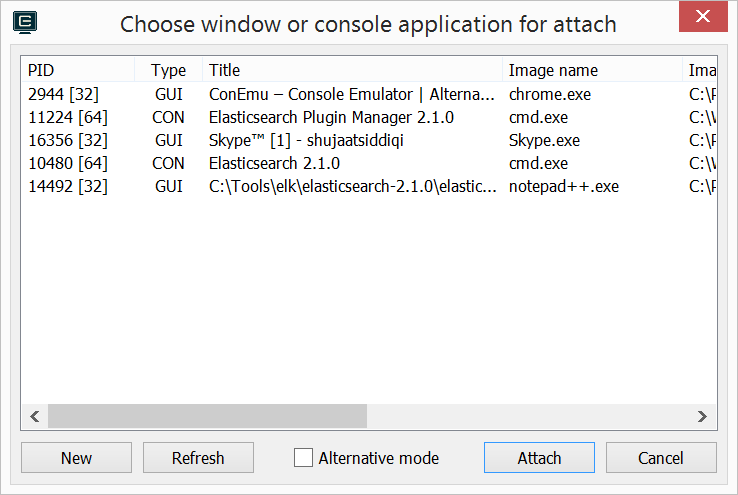 They include command shell, power shell, Git Bash and so on. They are all available separately. The also need to run separately. In an every day development life, it is difficult to manage each shell screen individually. They also lack a lot of features. This is specially true for command prompt which nearly looks like a stone-age tool where it is difficult to do basic stuff like resize a window or copy / paste text. The tool can be downloaded from a different places. Here we are downloading it from primary and official download mirror. Running the tool for the first time allows us to specify some basic settings. Here is the settings page as the tool is loaded for the first time. After these settings are specified, they can be updated in the Settings page. 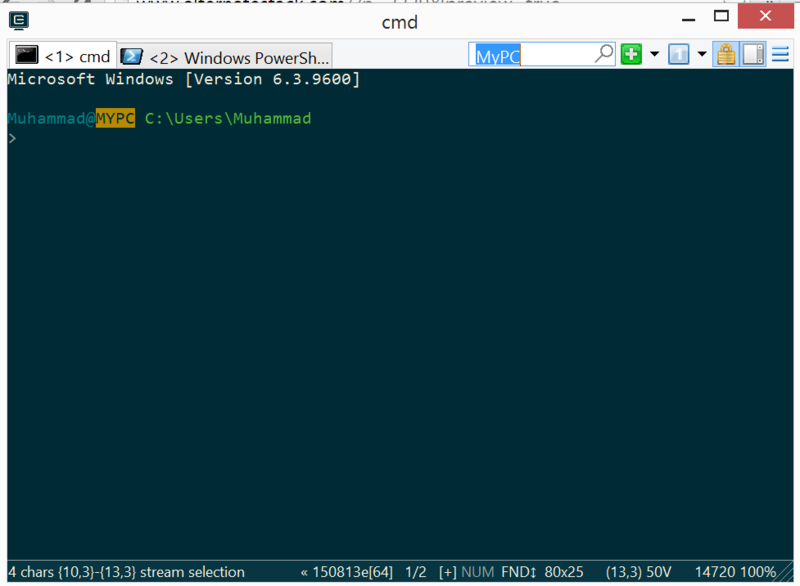 ConEmu is a highly configurable tool. It allows updating a number of settings from Settings tab. These settings are searchable. 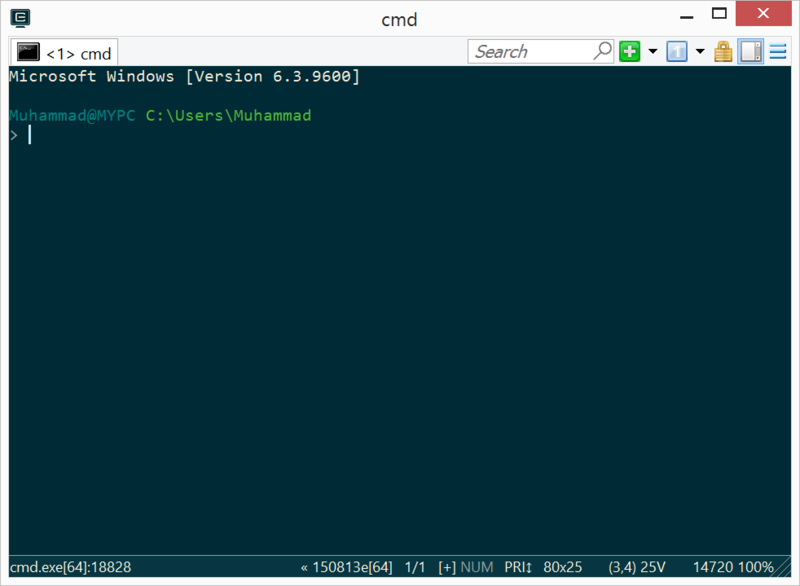 We can also attach a shell window to a running application. Here is the setting for this. Here we can select a process running on the machine which can be attached to. 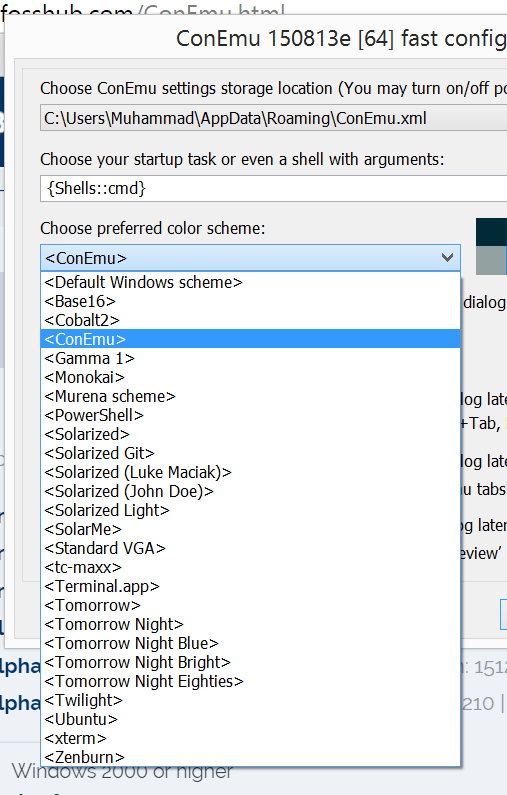 As ConEmu is launched, it just displays the default shell selected in the settings page. This is completely configurable from settings page. We can also add a new shell which would show up like a new tab. This makes it a lot easier to switch between these shells. It is a lot easier to switch between different shells as these shells are available as tabs. These shells can be of same or different types. Although it is possible to find text on a console window, it is difficult. ConEmu makes it a lot easier to search for a text on a window. It has a search bar on top which can be used to enter the search pattern. The search bar appearance can be controlled by appearance settings and we can get rid of this from Appearance tab in the Settings window.